Did you know that you can develop your psychic powers with meditation? There are four specific “psychic meditations” that I recommend when I teach meditation. These “psychic meditations” can help you develop psychic abilities even if you never thought you could have such powers. Every human-being is capable of developing psychic powers, such as the ability to feel others feelings. The very word “psychic” comes from the Greek word, which means “of the mind”—in other words, psychic powers are a natural part of the human mind. All humans can develop the psychic powers that are dominant within their mind—including you. Simply put: You can be psychic. Of course, you might never become as psychic as some of the best psychics in the world. Those professionals have special skills they use when they you get a psychic reading. You can definitely develop psychic powers, though, and one of the best ways to develop your psychic abilities is with meditation. As a meditation teacher I’ve known many people who thought they could never be psychic. That is until they tried the psychic meditation techniques I’m about to share with you. 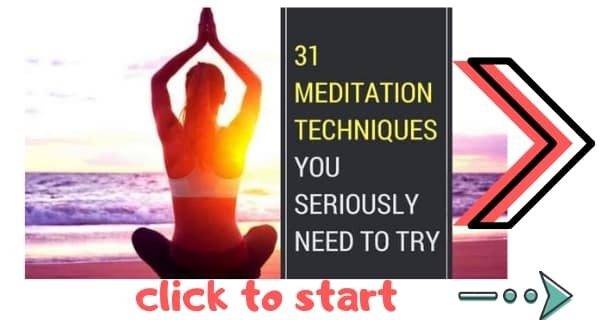 But before we look at the psychic meditation techniques, let me share with you some stunning scientific research that proves that you can develop psychic powers through meditation. Even today in 2018, may people refuse to accept the existence of psychic powers. “Where’s the scientific prove of psychic powers?” they ask. Well, the next time a skeptic tells you you’re crazy, tell them about the following scientific proof. Yes, science has proven that people do experience psychic powers and that you can develop psychic powers with meditation. Dr. Dean Radin is the chief scientist at the Institute of Noetic Sciences (a certifiable genius who has formerly held positions at Princeton University and The University Of Edinburgh). Speaking to EpochTimes, Radin explained one survey that The Institute Of Noetic Sciences [IONS] conducted. You will not believe the results of this survey. In the survey, IONS asked 2000 meditators whether they had ever experienced various psychic abilities, including clairvoyance, precognition and similar psychic phenomena. 1500 of the meditators (75%) stated that they had indeed experienced psychic phenomena and that the reason was because of meditation. In his book, Supernormal, Radin states that the more we meditate the more we develop psychic powers. Yogis and advanced meditators know that psychic powers are real because they experience them all the time. Traditional Buddhist and yogic teaching states that if you train in meditation you will achieve a higher state of consciousness. As your consciousness advances you will begin to develop psychic powers as part of their siddhi [special powers]. These are just a selection of some of the powers (siddhi) you can develop by practicing meditation. Both science and spiritual tradition state that the more you meditate the more you will develop psychic abilities. Just one question: Which are the best meditations for psychic powers? If you only want to use one meditation technique for psychic powers, make it this one. 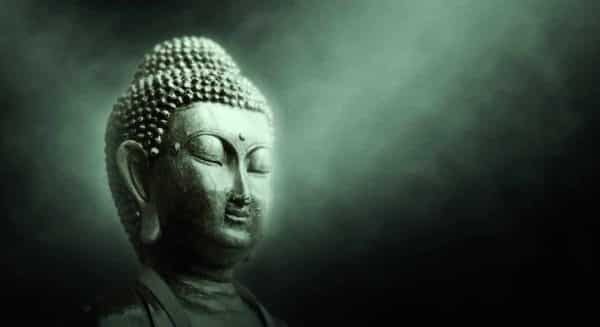 The third eye meditation technique is a powerful meditation that has been in existence for many thousands of years. This is a meditation in which we focus on the third eye chakra, located between the eyebrows. When you use this technique, you will awaken and strengthen your third eye, which is the seat of your psychic insight. This will increase your intuition and awaken your psychic powers. You might like to read my guide to third eye meditation for more on this. Samyama is a combination of dharana (concentration), Dhyana and Samadhi (union). This is a yogic tradition which is performed to receive deeper knowledge of the qualities of the object of meditation. Yoga sage Patanjali taught that Samyama will lead to prajñā, which is insight into the true nature of reality. Samyama is performed by meditating absolutely on one subject (which could be an object or person), letting go of the self, and achieving oneness with the object of meditation. When you do this, you will gain insight into the truest nature of the object (or person) you are meditating on. Mantras are sacred words or phrases that are said to grant special powers to the person who recites them. There are thousands of mantras in existence today, most of which come from Hinduism and yoga. There is one mantra in particular that is a powerful way of developing psychic powers. The mantra is the Trikal Gyan, which represents the knowledge of the past, the present and the future. It is said that reciting this mantra 108 times in the morning, afternoon, and night will grant clairvoyance and psychic powers. Mudras are hand positions that are used in yoga and Buddhism. When we place our hands in specific mudras, we create special properties. These mudras can heal us, they can grant us access to powerful mental states, and, yes, mudras can ne used to develop psychic powers. The best mudra for psychic development is the Buddhi mudra. To perform this mudra, touch the tip of your fourth finger to the tip of your thumb, and hold your other fingers out straight. Meditate for twenty minutes while performing the Buddhi mudra. This will develop your psychic powers. And those are the four best meditation techniques for developing psychic powers. Do not listen to the skeptics. Skeptics will always tell you that you cannot access psychic powers, the there is no such thing. You—and only you—know the endless possibilities of your own mind. Yes, you can develop your psychic powers, and the more you meditate the stronger your psychic powers will become. The four techniques we’ve looked at in this article will enable you to access your psychic abilities. What will you see when your eyes are truly open?